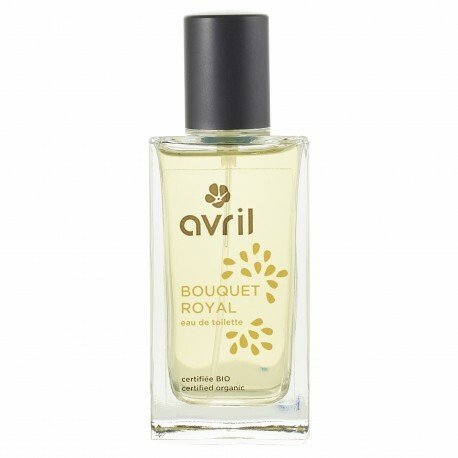 Enjoy the sophisticated arrogance of Eau de toilette water Bouquet royal certified organic Avril. This royal fragrance invites in an intoxicating waltz of elegant notes, sometimes chypre, sometimes floral, always unexpected. 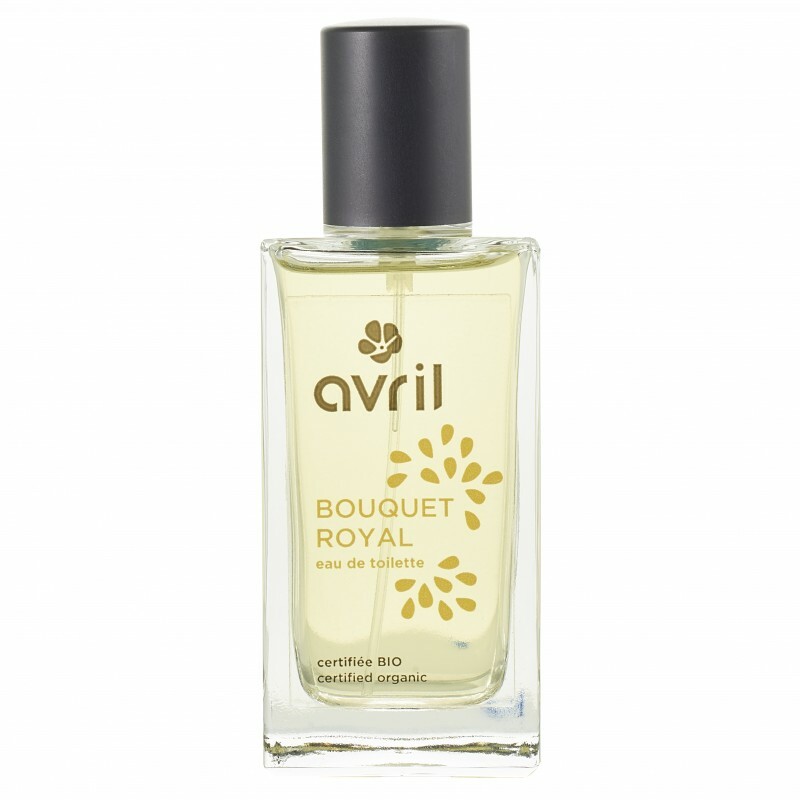 "Sophisticated and insolant, discover the frangrance « Bouquet Royale ». The powering elixir, of chypre tradition, floral, marks in head a waltz of lively and twinkling citrus fruits, given rhythm, quite in step, by the green and herbaceous notes of galbanum. The heart looks for his favorite enter wild immortal, imperial lavender, fleeting violets and pretty raspberry. For the bottom, unexpected and loose surges of sin whites court invaluable vanilla, patchouly milky and sandalwood complete that strong fragrance. " 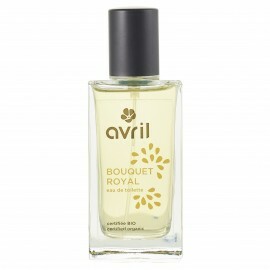 How to take advantage at the most of your Eau de toilette Bouquet royal certified organic Avril ? Apply 3 to 5 sprays on the skin and clothes to accompany you. Renew at the moment wanted according to your feelings. Alcohol** denat., rosa damascena flower water*, parfum (fragrance), benzyl benzoate, citral, citronellol, coumarin, eugenol, farnesol, geraniol, isoeugenol, limonene, linalool.